You know how Kolkata is known as the city of art and culture, but do you know much about the different, brilliant art forms the city has given birth to? 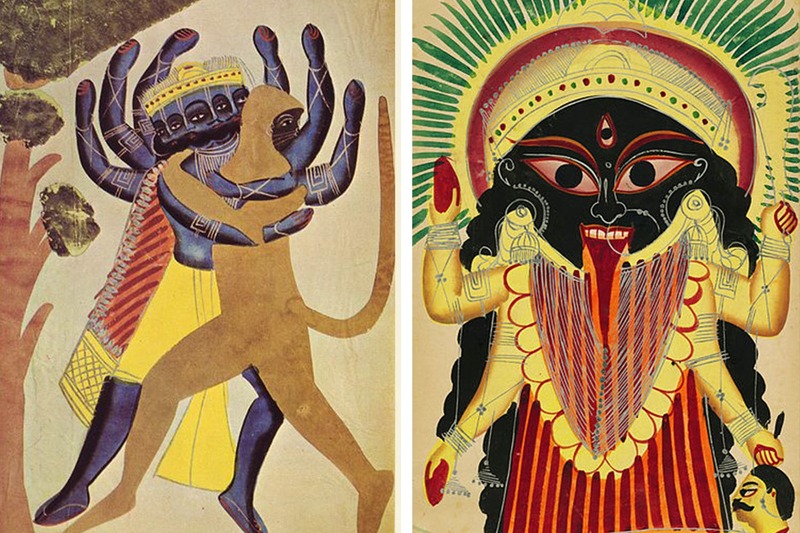 Like the celebrated Kalighat paintings? There are several places you can see them - in art at galleries and metro stations alike. And you can also pick up some prints. If you’re a Calcuttan, you will know about the Kalighat area. The Kalighat temple is the main attraction here. Mother Teresa’s home is here. This is also where in the 19th century, the renowned Kalighat painting (or Kalighat Pat) was born, by the then scroll or potua painters. This school of art was characterised by flat, plain figures and forms, bold sweeping brush lines and colours. In its early stages, the paintings almost always depicted religious figures but later they captured the essence of daily life in Bengal. Today, these paintings can be seen in museums and galleries all over the world. But here, you can see this art at the Kalighat metro station, where every passerby can have a look at the paintings inside the station, without having to buy them. In case you want a piece of this glorious art work, galleries in the city put these up for sale. For instance, the Chitrokoot Art Gallery, Konar Collectibles, CIMA and Ganges Art Gallery. But these paintings are not available all year round so, if you want to purchase them, keep calling them every once in a while to keep track. Victoria Memorial also has a collection of Kalighat paintings. Many scroll painters still paint in this style. You can keep tabs on fairs and melas where they frequently turn up with their wares. For instance, Kolkata’s Boi Mela (book fair) or the handicrafts mela that happens every year.